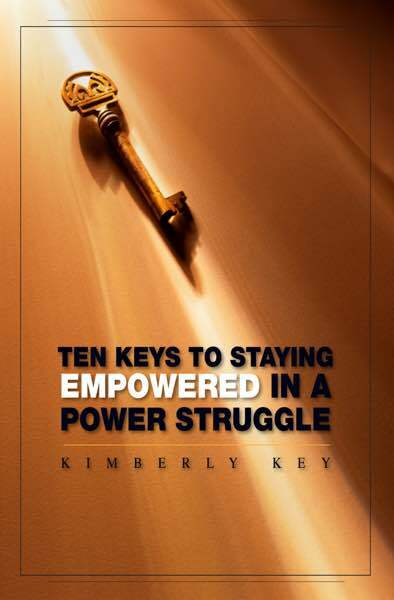 Kimberly Key’s book is for anyone dealing with relationship issues, negotiations, power struggles, and trying to find a more effective way to communicate while staying empowered. An easy to understand explanation about how and why power struggles exist and how to disable their escalation while staying empowered. It provides examples of dialogue and gives critical information that lets the reader identify hidden power struggles and strategies for dealing with them. The Ten Key tips are powerful, practical, and easy to remember and follow. Perfect for anyone in a challenging relationship, experiencing frustration with office politics, needing better negotiation skills, or anyone exposed to crazy-making behavior they don’t understand.